Comfortable, lightweight, and durable, the Alavanca Silver Gi is the perfect starter gi for kids! Unlike the adult Silver Gis, which are made out of pearl weave cotton fabric, the kids' Silver Gi is made entirely out of lightweight (yet durable) twill cotton so that it doesn't irritate the skin of young children who are just beginning in jiu-jitsu. The Silver Gi comes with embroidered silver Alavanca logos on both shoulders and on the left ankle. The back is intentionally left blank so you can add your academy patch. The single-panel back construction allows for greater durability, faster drying and enhanced comfort when working from the guard. 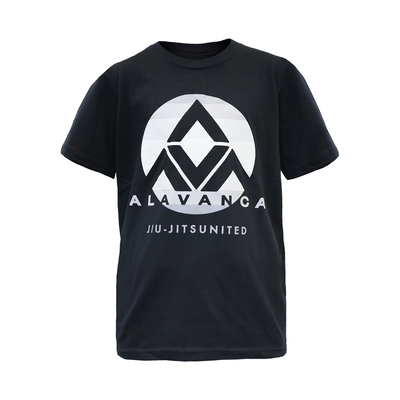 AV Silver Gi (Kids) has been added successfully to your wishlist. There are currently no reviews for AV Silver Gi (Kids), but you can be the first! 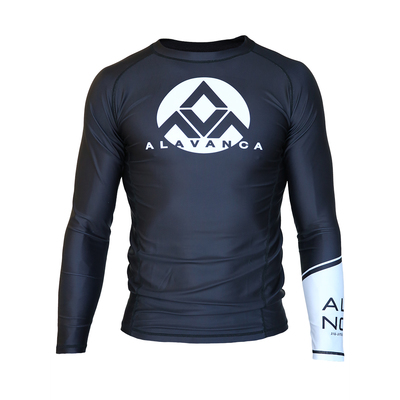 Alavanca Classic Long-Sleeve Rashguard (Kids) View Sale! 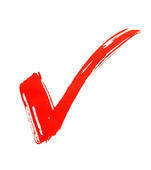 AV Kid's Basic Tee View Sale!